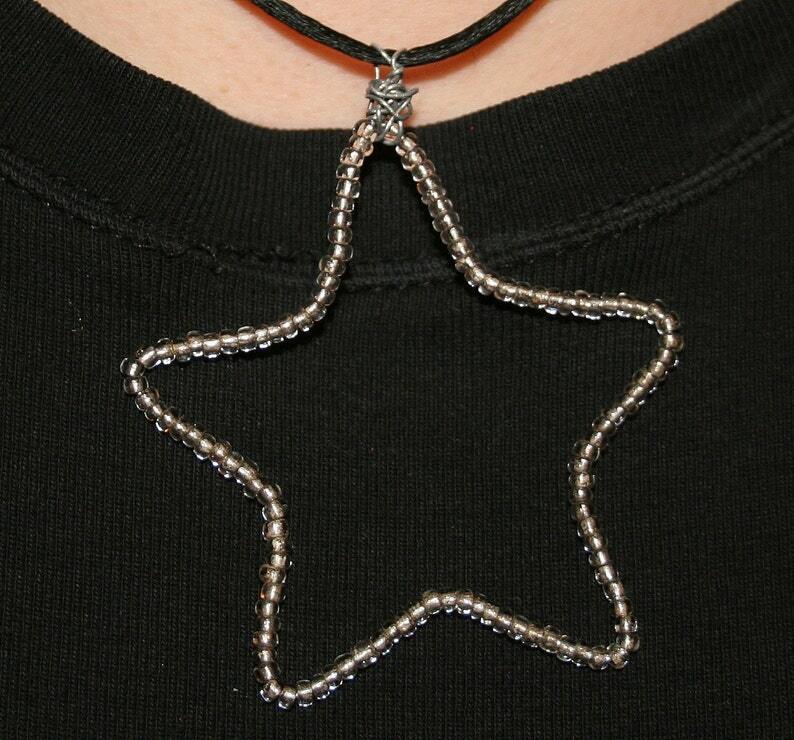 This silver star is made of wire and silver colored beads. It comes with a length of satin cord to hang it from. The star measures around 2 inches square.